Getting recognized for the hard work you do is something that goes beyond just getting a plaque or award. 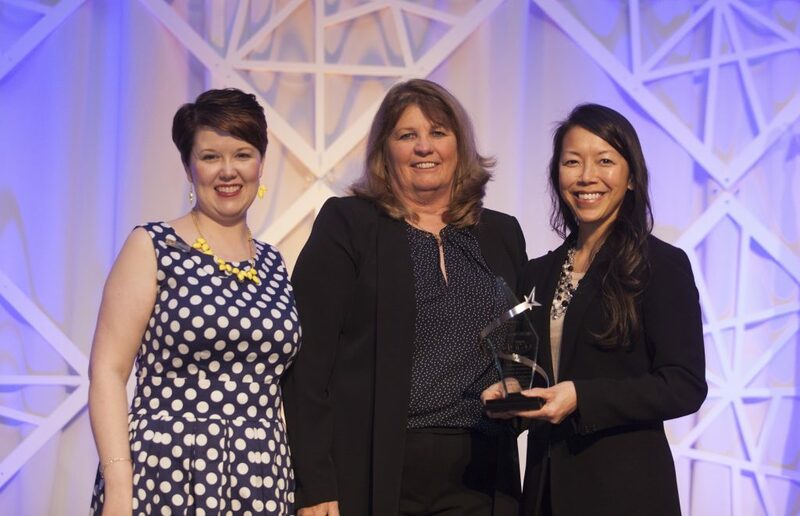 Winning an individual or agency award at the Soaring to New Heights Conference is a testament to the tremendous dedication and countless hours contributed to making your community a better place to live… and play! The Awards and Recognition program and the Agency Showcase Competition are wonderful ways to recognize leaders in the field and outstanding projects accomplished throughout the past year. The awards are announced at the All-Conference Awards Luncheon in front of colleagues and legislators from throughout the state. Nominate someone today! For award program details and deadlines, click on the corresponding tabs below. The following awards will be presented Friday, January 25, 2019, during the All-Conference Awards Luncheon at the annual IAPD/IPRA Soaring to New Heights Conference: Rising Star, Honored Professional, Mike Cassidy Commissioner Community Service, Commissioner of the Year. For general questions regarding the IAPD Awards and Recognition Program, please contact Bobbie Jo Hill at 217/523-4554 or bjhill@ILparks.org. 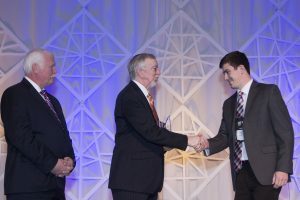 The Rising Star Award recognizes up-and-coming board members who have completed a minimum of one year, but not more than six years of service as a board member (equivalent to one elected term.) The recipient of the Rising Star Award will have demonstrated exemplary performance in duties and responsibilities as a board member. Have completed a minimum of one year, but not more than six years of service as a board member (equivalent to one elected term). Be actively involved in the park district, forest preserve, conservation, recreation or special recreation agency and community including, but not limited to, service to residents and promotion of the benefits of park districts, forest preserves, conservation and recreation agencies. 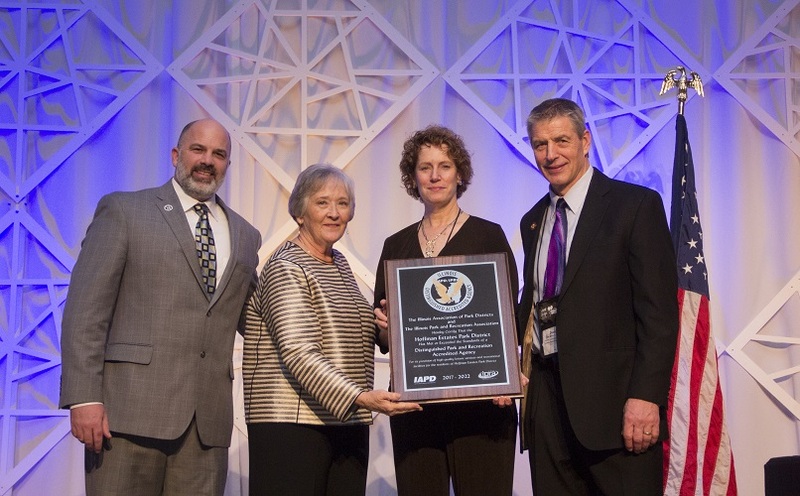 Have performed additional significant or noteworthy projects demonstrating positive impact and dedication to the field of parks and recreation, which may include involvement in IAPD activities. 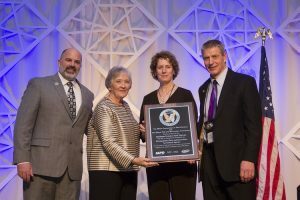 The IAPD Honored Professional Award is presented to a park, recreation, forest preserve or conservation professional who has worked closely with citizens and the Illinois Association of Park Districts to improve the quality of life for all people in Illinois. Have demonstrated remarkable talents in encouraging local board members to excel as citizen advocates in advancing the field of parks and recreation. Have worked above and beyond the call of duty to promote park districts, forest preserves, conservation and/or recreation agencies in their communities and throughout Illinois. Believe in the IAPD mission and have a history of supporting its endeavors. Examples include, but are not limited to, having assisted with the legislative process, served on IAPD/IPRA joint committees, acted as a speaker at IAPD programs, authored articles for IAPD publications, volunteered at IAPD events, or encouraged board member involvement in IAPD programs or services (i.e. Eagle Eye Neighborhood Park Watch Program, Friends of Illinois Parks, Park District Youth License Plate, etc…). When asked how he wanted to be remembered, long-time park commissioner Mike Cassidy once said, “Doing something good for the community, contributing something for the future.” This annual award is presented to a commissioner whose volunteer service to his or her community emulates the vision and voluntary efforts demonstrated by Mike Cassidy to improve the quality of life for those in his community. Recipients of the Commissioner Community Service Award will have demonstrated the highest example of community service, personal integrity and ingenuity. Be an elected official and member of the Illinois Association of Park Districts. Have demonstrated tireless assistance and leadership through contribution of time, services or volunteer efforts for the community he or she serves. Be known for fostering local partnerships and being involved with the success of community programs and organizations such as, but not limited to, civic, nonprofit, religious and educational. 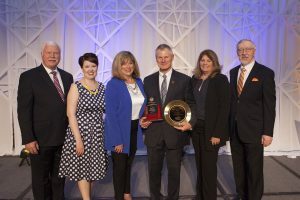 The recipient of the Commissioner of the Year Award will have shown outstanding qualities to support and promote parks, recreation and conservation in his or her community, as well as throughout the state. Be an elected official and member of IAPD. Have served a minimum of 6 years as a member of a local board. Demonstrate skills in dealing with people (public, media, legislators), a true desire to serve while accepting personal sacrifices, and the ability to stimulate community action while maintaining the highest integrity in ethics. Have helped to carry out the IAPD mission: “The IAPD is a non-profit service, research and education organization that serves park districts, forest preserves, conservation and recreation agencies. The association advances these agencies, their citizen board members and professional staff in their ability to provide outstanding park and recreation opportunities preserve natural resources and improve the quality of life for all people in Illinois.” This can be promoting IAPD through the legislative process, volunteering at IAPD events, serving as a lecturer or panel member at IAPD programs, or participating on an IAPD committee or its board of trustees. Any park district, forest preserve, conservation, recreation or special recreation agency that has shown insightful, creative ways to promote the Park District Youth License Plate through events, programs, etc. may apply for this award. (Example: “Flying 4 Kids” kite fly). The Youth License Plate Award will be presented at the IAPD Annual Business Meeting on Saturday, January 26, 2019 at the IAPD/IPRA Soaring to New Heights Conference. E-mail application as a .pdf to IAPD Public Relations Director, Bobbie Jo Hill no later than 5:00 p.m. on Monday, November 12, 2018. Applications must be submitted as 1-3 page typed summaries of how the Park District Youth License Plate was promoted. Agencies give IAPD permission to reprint descriptions of license plate promotions. Community Service Awards can be awarded for recognition of ongoing support, outstanding contributions of time, money, services, volunteer work or the advancement of parks and recreation. Honorees might include a non-member employee, a group, an organization, an individual, an elected official, governing body, local business, church, or school district. These awards can be ordered through IPRA for pick up at the Soaring to New Heights Conference. Your agency can present the award to your recipient(s) on the local level. 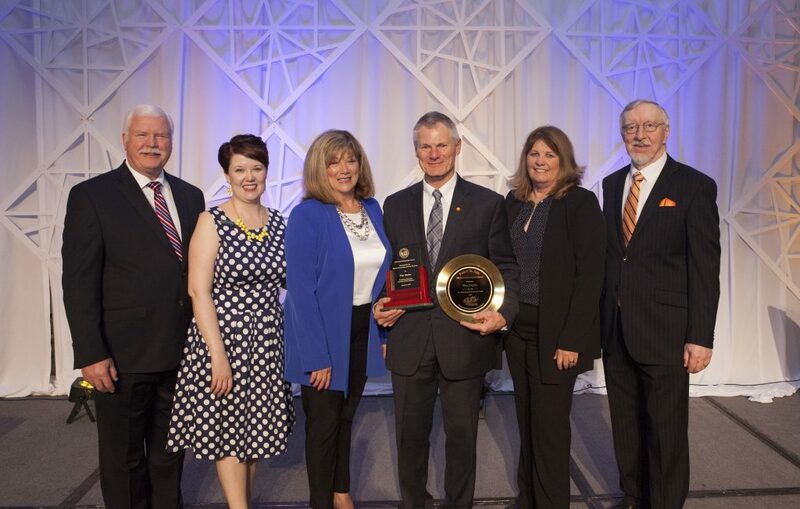 The IAPD Board Member Development Program gives recognition to local board members who consistently go above and beyond the call of duty through committee involvement, attendance at continuing educational opportunities and achievements at the local, state and national levels. Participation in the Board Member Development Program can garner numerous benefits including recognition from fellow colleagues, legislators, media and the public. The program tracks accomplishments obtained during terms on your local board, useful during re-election. Any member of IAPD may join the Board Member Development Program for an annual fee of $20. Participants accumulate “Board Development Units” (BDUs) yearly from October 1 to September 30. Units earned after September 30 will go toward the following year. All members of the program will receive a participant lapel pin. Board Member Development Program participants (Distinctive and Master Levels) will be recognized at the IAPD Annual Business Meeting on Saturday, January 26, 2019 at the IAPD/IPRA Soaring to New Heights Conference. Join Now! Click here for awards criteria, additional information or to submit a nomination. Awards will be presented Friday, January 25, 2019, during the All-Conference Awards Luncheon at the annual IAPD/IPRA Soaring to New Heights conference. For general questions regarding the IPRA Awards and Recognition Program, please contact Matt Fairbanks at 708/588-2286 or matt@ilipra.org. The IPRA Advocacy Award recognizes an individual or organization whose contributions have made a significant and consistent impact on the parks and recreation field. The IPRA Young Professional Award is presented to a current Illinois park and recreation professional who has made an impact in the field of parks and recreation and / or in the community they serve. 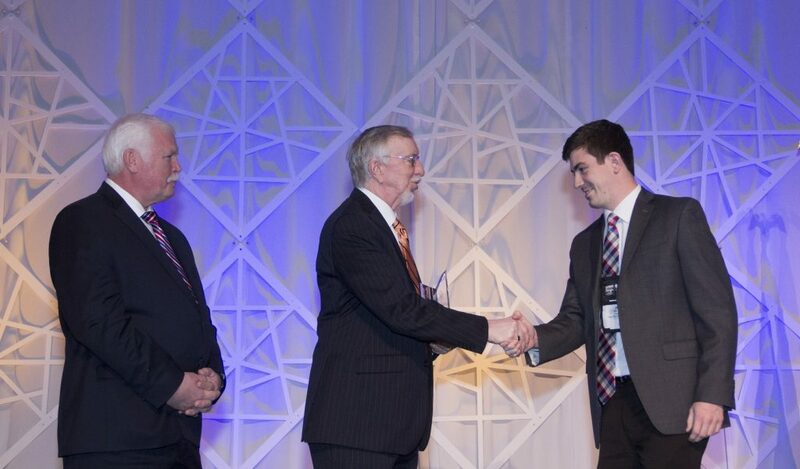 The IPRA Professional Award is presented to a current Illinois park and recreation professional who has made an impact within the parks and recreation industry. The IPRA Community Impact Award is presented to a current Illinois park and recreation professional who has made a significant impact in the community they serve. The IPRA Lifetime Achievement Award was established to honor Robert Artz’s legacy of service to the park and recreation profession. The recipient’s efforts will have had lasting impact and created awareness of the importance of parks and recreation among his/her peers and in the community he/she serves. Agency Showcase is the premier communications and marketing competition for park and recreation agencies. Nominate your best communication and marketing materials for judging and display at the Soaring To New Heights conference. For more information, click here. To download and view the Agency Showcase brochure, click here. If you know a professional outside the parks and recreation field who works in print, web, photography, or other related disciplines, let us know! Volunteering as a judge for Agency Showcase provides professionals with a great opportunity to network, receive free admission to educational sessions, and access to the conference exhibit hall. To apply to be an Agency Showcase judge for the 2019 conference, click here. Please note: Park and recreation professionals, board members, or others affiliated with your agency are not eligible to be judges. For questions about Agency Showcase, please contact Matt Fairbanks at matt@ilipra.org or Duane Smith at duane@ilipra.org.